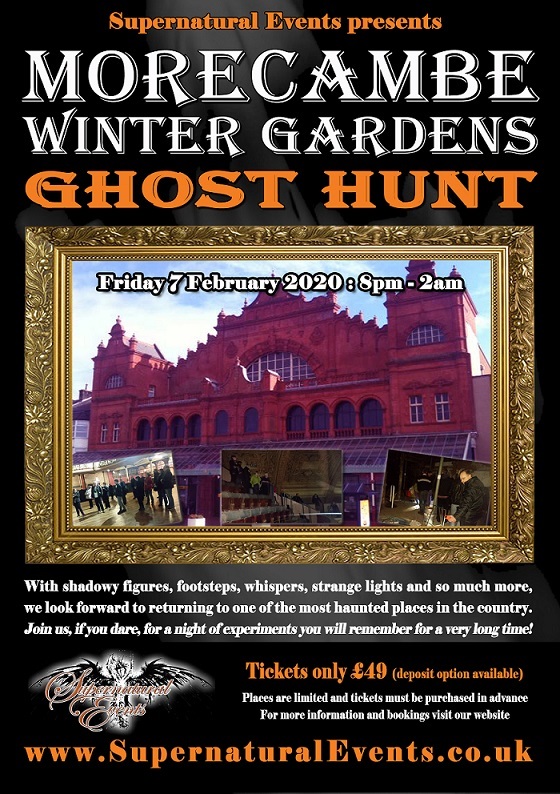 Supernatural Events will return again to one of the most haunted places in the country - Morecambe Winter Gardens. A theatre steeped in history, that is currently being lovingly restored to its former glory it is one of the most visited locations for paranormal investigators and ghost hunters. 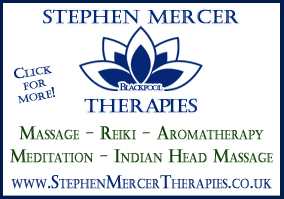 What will you experience when the lights are switched off and the doors locked? Will you see the figure that is said to haunt the upper balconies? Or maybe you will hear the whispering voices under the stage... or perhaps experience something else... something otherworldly...?!! 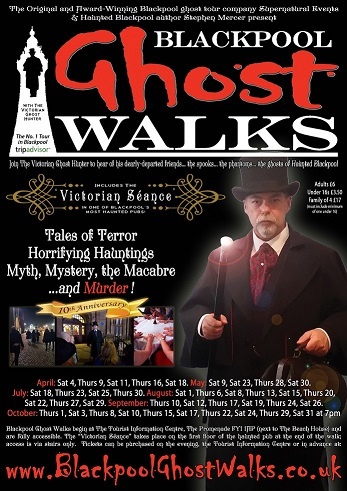 Places will be limited for these very special ghost hunts. Bookmark this page or visit our social media pages to ensure you know when the next ghost hunt will take place... You won't want to be disappointed! 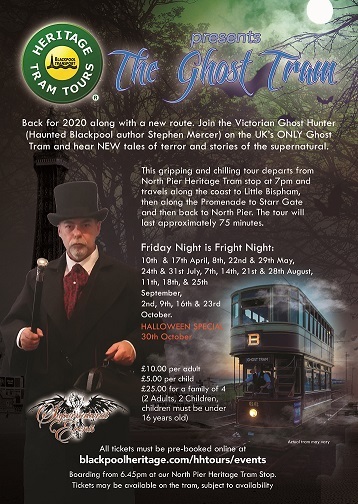 Visit our Diary page for details of other Supernatural Events, including Ghost Hunts, Ghost Tours, Blackpool Ghost Walks and The Ghost Tram!